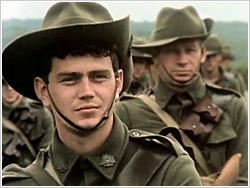 1915 takes us inside a bustling rural community and captures the dreams and heartaches of two young men as they grow up and ultimately embark on the greatest and worst adventure of their lives. Billy MacKenzie and Walter Gilchrist are two best mates who forge their friendship fighting over girls, horses and family. But the biggest test of their metal is about to reveal itself as news filters through of a major conflict unfolding on the other side of the world. 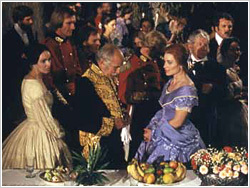 When the secret of his true parentage is revealed, young aristocrat Richard Devine (Colin Friels) is disinherited and driven from his home in England. Assuming the name "Rufus Dawes," he is falsely accused of murder and banished to an unforgiving Australian prison for a life sentence. Gradually, he evolves into a tough, self-sufficient convict, unafraid to attempt the most daring escapes or brutal clashes with fellow prisoners and his jailers-including the cruel Lt. Maurice Frere (Rod Mullinar) or the troubled Reverend North (Anthony Perkins). 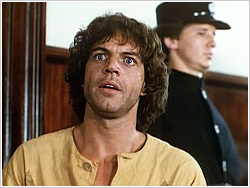 "Dawes'" last hope for vindication is his passion for Sylvia (Penelope Steward), daughter of prison Commandment, Major Vickers (Patrick Macnee). That hope is put to the ultimate challenge by her own dark secrets. Harsh and unflinching in its indictment of prisons, For the Term of His Natural Life is also an unforgettable testament to this power of the human mind and heart. Based on the novel by Marcus Clarke. A children's action adventure set in the South Pacific islands. 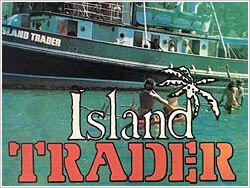 The Island Trader is an old steam-driven tug that becomes the centre of a hunt for lost treasure after a plane, carrying gold bullion, comes down on Shark Island.